While there are numerous medical professionals all over the United States, facial plastic surgeons are some of the most specialized individuals around. This isn’t to say that they are better than general plastic surgeons, but a vast number of qualifications and standards must be met to be considered a facial plastic surgeon. Aside from being highly educated, both general and facial plastic surgeons must make it through rigorous residency programs. However, facial plastic surgeons’ residencies dedicate all their attention to one area: the face. 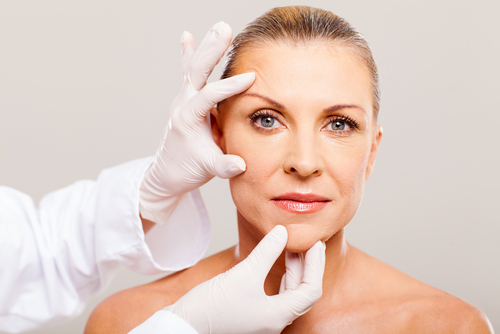 Being a facial surgeon is more than just about completing a procedure. There is unique meticulousness and attention to detail applied to give their patients beautiful results that appear natural to the naked eye. You wouldn’t want a plastic surgeon who specializes in body contouring procedures performing your facelift or rhinoplasty, would you? Skilled, qualified, and experienced surgeons perform in state-of-the-art practices or are allowed to perform in accredited hospitals to ensure patient safety and the effectiveness of the procedure. When visiting a surgeon for a consultation about your facial procedure, don’t be afraid to ask any and all questions you might have. Be sure find out if the surgeon is certified by the American Board of Facial Plastic and Reconstructive Surgery and if he or she regularly performs the procedure you want to undergo. If you live in or near Denver, schedule a consultation with Dr. Edmon Khoury by calling (720) 475-8400 or filling out our online contact form today. We look forward to hearing from you soon and are dedicated to providing you with results you can feel confident about. This entry was posted on Tuesday, October 13th, 2015 at 7:34 pm and is filed under Board Certified Facial Plastic Surgeon, Colorado Cosmetic Surgery, Denver Cosmetic Surgery. You can follow any responses to this entry through the RSS 2.0 feed. Both comments and pings are currently closed. « What’s So Smart About the SmartLift™? What’s So Smart About the SmartLift™? Have you noticed the signs of aging in your face are becoming more apparent? If so, you’re not alone. Various factors, including sun exposure, stress, and gravity, adversely affect the condition of your skin as you get older. As we age, fine lines and wrinkles worsen to form deep creases, and our skin loses its elasticity and begins to sag, which often causes many to lose their self-confidence. Traditionally, many choose to undergo a facelift or mini-facelift to eliminate these signs of aging and restore a more youthful facial appearance. However, these procedures are invasive and usually require general anesthesia and a longer recovery time. Advancements in both technology and techniques have given us the ability to perform these traditionally invasive procedures in a less invasive way, including the SmartLift™. The SmartLift™ is one of the most effective treatments to reverse the signs of aging, and Dr. Khoury is one of only a handful of surgeons in the United States performing this technique. The SmartLift™ procedure is performed by inserting the Smartlipo™ laser beneath the skin to function as a very precise heated scissor. The heat from the laser also tightens the skin to stimulate the production of collagen, revealing a smoother, more defined, and younger-looking facial appearance. If you want to achieve a more youthful appearance facial appearance without the consequences that invasive surgical procedures leave behind, we encourage you to contact our Denver practice today. Certified by the American Board of Facial Plastic and Reconstructive Surgery, Dr. Edmon Khoury has years of experience performing facial plastic surgery procedures, including the SmartLift™ procedure. Please call (720) 475-8400 or fill out our online contact form to schedule your personalized consultation with international facial plastic surgeon Dr. Khoury. This entry was posted on Wednesday, March 25th, 2015 at 11:39 pm and is filed under Colorado Cosmetic Surgery, Denver Cosmetic Surgery, Facelift, Laser SmartLift, Standard Facelift. You can follow any responses to this entry through the RSS 2.0 feed. Both comments and pings are currently closed. Choosing to have cosmetic surgery around your eyes is a very important decision. The eyes are “the windows to the soul,” the first place others look when they speak to you, and one of the main areas where we express emotion. Even with minor adjustments, the eyelid lift can completely change the way you look, and it can affect the way you see the world around you. With this in mind, it is important to choose an expert eyelid lift surgeon for your procedure. Did you know that any person with a medical degree and a state license can legally perform plastic surgery? This is why we hear so many horror stories in the media about botched procedures. Many men and women choose less experienced “surgeons” in hopes of saving money, but they end up paying much more than they bargained for with their botched results. When choosing a surgeon to perform your eyelid lift, it is important to choose a surgeon that is board certified. Certification by the American Board of Plastic Surgery (ABPS) indicates that a surgeon has broad knowledge of how to perform all cosmetic surgeries. It ensures that the surgeon’s skills have been evaluated and reviewed extensively and that several years of training have been completed. This should be a minimum requirement when considering a surgeon. Dr. Khoury has surpassed this level of training with specialized double board certification by the American Board of Facial Plastic and Reconstructive Surgery and the American Board of Otolaryngology. These credentials guarantee that Dr. Khoury has focused the majority of his training on surgeries of the face, head, and neck and that he has met all the training and testing requirements set by these prestigious boards. When it comes to choosing a qualified plastic surgeon, experience is important. You should evaluate the surgeon’s years in practice as well as the number of eyelid lift surgeries he or she has performed. During a consultation, you can ask to see the surgeon’s before and after photos to help validate their experience and skill and to get an idea of the results you can expect. Dr. Khoury has performed thousands of eyelid lift procedures over his many years in practice in Colorado and Dubai. He is dedicated to continued education in the field of facial plastic surgery and remains current with the latest technology and techniques for every procedure he performs. A good indicator of an expert plastic surgeon is their reputation among their peers and patients. A surgeon who gives frequent lectures to other surgeons, teaches at a university, or is published in peer-reviewed journals is more than likely an expert in his or her field. Dr. Khoury was selected as a surgical trainer for the Lifestyle Lift, a medical group that performs the largest number of facial rejuvenation procedures in the country. Dr. Khoury regularly attends conferences and delivers lectures and training to his peers. He is also highly esteemed by many of his satisfied patients, which is evident on various online reviews like HealthGrades and RateMDs. Are you board certified by the ABPS? Do you specialize in the eyelid lift procedure? How many eyelid lift surgeries have you performed? Do you have recent before and after photos I can see? Do you teach other surgeons or give lectures on certain techniques? How do you stay current with the latest technology and techniques? If you are interested in the eyelid lift procedure in either Colorado or Dubai, please schedule a consultation with expert eyelid surgeon Dr. Edmon P. Khoury. Please call (720) 475-8400 or fill out our online contact form today. This entry was posted on Tuesday, March 3rd, 2015 at 7:19 pm and is filed under Board Certified Facial Plastic Surgeon, Colorado Cosmetic Surgery, Denver Cosmetic Surgery, Dubai Practice, Eyelift, Facial Rejuvenation. You can follow any responses to this entry through the RSS 2.0 feed. Both comments and pings are currently closed. deliver that added youthful boost or can be easily performed as a standalone surgery. P. Khoury, Denver’s most sought after and distinguished plastic surgeon. This entry was posted on Monday, December 5th, 2011 at 4:23 pm and is filed under Board Certified Facial Plastic Surgeon, Colorado Cosmetic Surgery, Denver Cosmetic Surgery. You can follow any responses to this entry through the RSS 2.0 feed. You can leave a response, or trackback from your own site. underneath the surface of the skin to achieve astounding results. less invasive than a traditional facelift and boasts dramatic and speedy results. This entry was posted on Tuesday, November 22nd, 2011 at 11:24 am and is filed under Board Certified Facial Plastic Surgeon, Colorado Cosmetic Surgery, Denver Cosmetic Surgery, Facelift. You can follow any responses to this entry through the RSS 2.0 feed. You can leave a response, or trackback from your own site. wrinkles, an Eyelid Lift may be just the treatment you deserve! goals. Call Denver Cosmetic Surgery today! This entry was posted on Monday, November 7th, 2011 at 5:30 pm and is filed under Board Certified Facial Plastic Surgeon, Colorado Cosmetic Surgery, Denver Cosmetic Surgery, Eyelift. You can follow any responses to this entry through the RSS 2.0 feed. You can leave a response, or trackback from your own site. Dr. Khoury is proud to be associated with the American Academy of Cosmetic Surgery Hospital (AACSH) in Dubai. He frequents the hospital every few months as a visiting facial plastic specialist for a period of 7 to 10 days. His upcoming visit to Dubai is scheduled for November 26th and the 27th. He will also be returning to Dubai in January for a longer visit (Jan 16 till the 19th). If you are interested in scheduling a consult with Dr. Khoury in Dubai, please contact the American Academy of Cosmetic Surgery Hospital directly at +971 4 423 7600. You may also submit a consult request by visiting Dr. Khoury’s website and check out awesome photos of his Dubai practice. This entry was posted on Tuesday, April 27th, 2010 at 10:40 am and is filed under Board Certified Facial Plastic Surgeon, Colorado Cosmetic Surgery, Denver Cosmetic Surgery, Dubai Practice, Home. You can follow any responses to this entry through the RSS 2.0 feed. You can leave a response, or trackback from your own site.